When the Pilatus PC-12 first landed on the scene back in 1989, expectations were fairly modest. Earmarked for sales in the 200 region, nobody would have been surprised if the PC-12 had come in, served its purpose, and been resigned to history along with a plethora of similar aircraft. An airplane that can go virtually anywhere, do anything, and operate in the most extreme weather—and that could sell for twice what you paid for it after 30 years—might sound like a fantasy. But the iconic DHC-6 Twin Otter, which de Havilland Canada ­produced, fits that description. It helped launch the commuter and regional airline industry in North America, remains the backbone of maritime coastal patrols for many navies, and serves the mining and oil industries worldwide. It lands on wheels, big tundra tires, straight floats, amphibious floats, and skis. Runways are optional. Nice flat surfaces of any kind are kid stuff. When it’s 60 below in Antarctica and some scientist needs to be medevaced, this is the airplane they send. Once considered a luxury only for the rich and famous, owning a private plane is no longer just for the elite, according to Covington Aircraft, experts in aircraft engine maintenance. A private plane is perfect for frequent flyers, companies that conduct business throughout the world, and for those who simply want to avoid the hassle associated with checking bags, lines at security, and uncomfortable seating in an airport. Even with fuel costs and required aircraft engine maintenance, owning a private plane could actually save money. One of the biggest benefits to owning a private plane is that you can avoid those big hub airports and fly from smaller facilities. A private plane allows you to park in a private parking lot for free at most airports, take a short shuttle to the terminal where transport drivers load the luggage. Luggage remains with the passenger at all times, so there is no concern about lost bags. 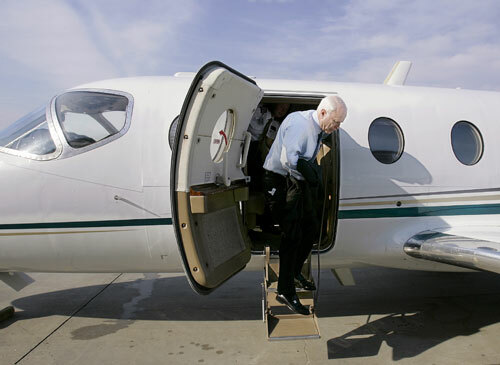 On a private plane, the pilot views identification of passengers, and although the pilot has the right to search bags, there are no body scans, removal of shoes, belts or jewelry, and no x-ray machine. Another benefit to owning a private plane is the freedom to fly whenever you choose, at whatever time you choose. If you are running late getting to the airport, the private plane waits. 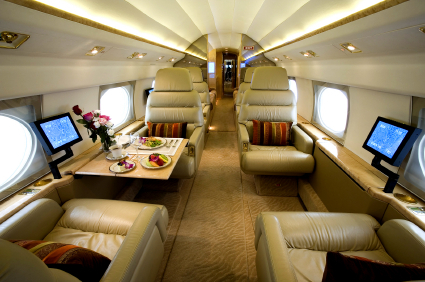 Unlike commercial jets, which have set departure times, a private jet allows you to take off when it is convenient. There is no need to miss part of your trip simply because you couldn’t get a later flight. Unlike commercial flights, private planes allow passengers to eat and drink whatever has been preordered for the flight. For business travelers, the flight can be an impromptu business meeting without interference from other passengers. Many private planes have laptop connections, fax machines and satellite television. Passengers can get up, change seats and walk around during long flights. Many private planes also offer sleeping space to accommodate those on overnight flights. Covington Aircraft, a leader in aircraft engine maintenance, wants you to enjoy the ultimate in luxury with your own private plane. For more information on radial and turbine engine overhauls, or maintenance and repair, visit www.covingtonaircraft.com. You can also find us on Facebook and LinkedIn. In the last post, we at Covington Aircraft covered the basics on how to choose the perfect corporate aircraft for your business or private needs as well as things to consider in pricing. In this edition of the “How to buy a Private or Corporate Jet” series, we talk about the features and benefits to corporate aircraft ownership. Many corporations purchase corporate aircraft or invest in fractional ownership of jets due to the tax deductions such ownership can provide. However, there are other financial advantages to owning a corporate jet. Owning a corporate jet allows the company to customize the interior of the aircraft to allow executives the ability to work as they travel in far more comfort than they can find on a commercial jet. Elegant designer interiors can be expensive, some running as high as $85 million, but these features allow company employees to hold private business meetings as they travel to their destination, eliminating non-productive time spent on commercial jets with crying children and tight seat spaces. In addition to the interior of the jet, the aircraft engine can be customized as well. High quality engines, such as the PT6A from Covington Aircraft, offer reliability and reduced maintenance costs which also can save money. Covington even offers loaner engines to eliminate downtime while your corporate aircraft is being repaired and their AOG services provide expert knowledge of aircraft engines. Most airports offer many time savings to corporate executives who utilize private aircraft. Many have private parking and private security checkpoints for those who use corporate jets, as well as executive lounges and free transportation to and from the airport. Executives are able to avoid the hectic atmosphere of an airport and there is no waiting for luggage in baggage claim when they arrive. 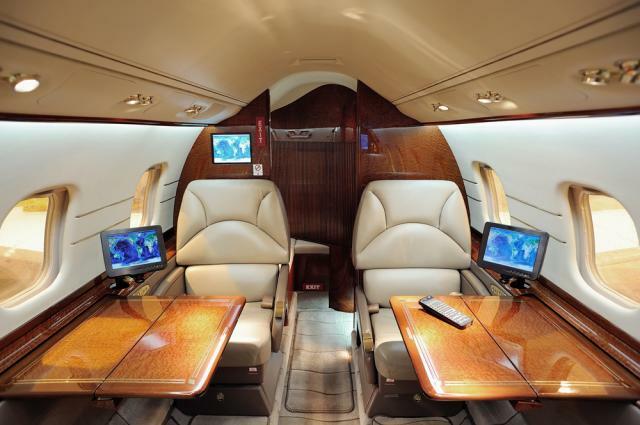 One of the biggest benefits to owning a corporate jet may be flexibility. Corporate aircraft are not limited by the hub and spoke system of commercial airlines and are able to schedule flights with much more flexibility. Any corporation who has lost a major contract due to a missed connection and additional expenses for overnight accommodations for staff stuck in a connecting city can understand the benefits of corporate jet flexibility. In addition, because private jets are smaller, they are able to land at smaller, commuter airports that may be closer to the desired destination than commercial airlines can. Purchasing a corporate jet provides significant financial savings for those who spend many hours in the air. With attractive financial packages available, the tax advantages to jet ownership and the time savings involved, purchasing corporate aircraft is a beneficial financial decision. Although private planes can cost millions of dollars, corporate executives and individuals who fly an average of 350 to 400 hours per year are finding that corporate jet ownership actually can save the company money. Before embarking on such a large purchase, it is important to understand all the pros and cons of owning an aircraft. Jets can range from small, light aircraft that can fly 5 to 8 people around 2000 miles to large, 12-passenger planes that can travel more than 4,000 miles. Prices can range from $3 million for a small plane to over $45 million for a large plane. The current economy has caused an influx of used jets on the market, but these are not always the most economical purchase. Federal Aviation Association (FAA) regulations require specific compliance at airports and bringing a used jet into compliance can be expensive. New jets often come with a tip-to-tail warranty and some offer special engine programs which charge a low hourly rate for mid-life inspections and overhauls on the engine that will be required later. Just as the purchase price on a car is not the only cost factor to consider when buying, jets also have other costs that will be incurred long after the corporate aircraft is purchased. Insurance, fuel, catering, pilots and other expenses can be very expensive. There are management companies that will handle these expenses for you for a fee, usually between $100,000 and $200,000 per year. Repairs and maintenance can be unpredictable and some repairs can ground your plane indefinitely. Airplane parts are usually fairly expensive, as one part can cost as much as $50,000. Some engine repair facilities, such as Covington Aircraft can decrease that downtime with AOG Services and with expert aircraft engine knowledge. Loaner engines are also available to reduce your downtime during repairs. Owning a corporate jet can actually save money in the reduction of time executives spend in airports, on commercial jets and in line at security checkpoints. Corporate jets have the ability to be customized to allow a better working environment and more comforts than commercial jets can provide. Covington Aircraft provides and overhauls the best engines in the world, including the PT6A aircraft engine. Which Celebrity Owns the Most Expensive Business Jet? Information about the highest-priced jets owned by celebrities is not easy to find. The answer to this question will have to be a multiple answer because the price paid for a business jet can add up to a good deal more than the price of the jet. With the price of customization of an aircraft as an unknown, it is hard to determine which high-flying palace cost the most. The concession will be a listing of who owns what and let your imagination run wild from there. One thing is for certain, there are people out there who own some beautiful aircraft. If we are going to list the most expensive business jets, why not start with the biggest? The biggest of the business jets we found belongs to Sergey Brin and Larry Page, the co-founders of Google. Their Boeing 767-200 wide body is by far the biggest. During the customization of the interior, there was a legal issue with the designer, so the total cost of refurbishment included legal fees. This flying penthouse features two private staterooms, seating for fifty and, of course, a kitchen. John Travolta loves to fly his Boeing 707-138B. The price of this plane comes into question. John received his 707B from Quantas Airlines as payment for his continued ambassadorship for the airline. Built in 1964, the 138B was a model only purchased by Quantas. This model is 10 feet shorter in the rear fuselage, making it the shortest of the 707’s and helping to give it an increased range. 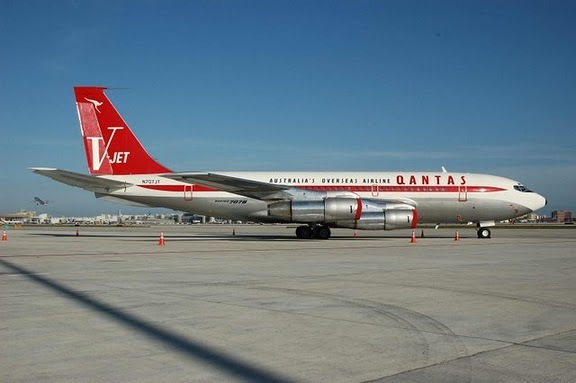 Purchased by Quantas new, it has since been through a number of owners, including Frank Sinatra from 1972 to 1975. It shares its home with a vintage Gulfstream IISP and the Travolta family. Yes, the family lives in a home near Ocala, Fla., off of John’s 1.4 mile private airstrip. The planes are both berthed in carport-like structures that are attached to the home. The Travolta home resembles a squat control tower. The 707 is the family vehicle while the Gulfstream is John’s sports car. Oprah cruises around at Mach 0.85. The leathery interior of the Bombardier Global Express XSR was purchased by the production company, HARPO, for Oprah Winfrey. It’s touted as the most expensive business jet at $49.3 million just for the jet, excluding interior furnishings. With a 94-foot wingspan and a 99-foot, 5-inch length, it is not as large as the commercial liners, but it will leave them behind. Cruising at Mach 0.85 (Mach 0.89 top speed) it will travel 6,150 miles with a ceiling of 51,000 feet. Designed to seat nine and a crew of four, the cabin sports 6 foot, 3 inches of head room and a floor-line width of 6 foot, 11 inches with a length of 48 feet. This aircraft has been in production since 2005. What will power your flying penthouse? When considering a power plant for a corporate aircraft, three things should come to mind: dependability, versatility and the latest technology. Pratt & Whitney Canada’s PT6A can provide the power to ensure you are receiving the value your investment in an aircraft should deliver. The reason to own a private or business jet is to ensure you can get where you need to go, when you want to go there. Covington Aircraft is a Pratt & Whitney Canada authorized distributor and designated overhaul facility. Founded in 1972, Covington Aircraft has seen a lot of overhauls, knowing what makes the PT6A the most popular engine in its class. Offering state-of-the-art engine testing facilities and new engine installations, Covington Aircraft maintains a complete line of engine parts and accessories so they can get you back in the air in the shortest time possible. Competitive pricing on aircraft engine services ensures that what is important to you is important to them, especially your bottom line.